Pelletier, Gérard and Paul Laurendeau. "Francophonie and Canada". The Canadian Encyclopedia, 20 March 2018, Historica Canada. https://www.thecanadianencyclopedia.ca/en/article/francophonie. Accessed 24 April 2019. The term francophonie has been in common use since the 1960s. It has several meanings. In its most general sense, it refers to all peoples and communities anywhere in the world that have French as their mother tongue or customary language. The term can also refer to the wider, more complex network of government agencies and non-government organizations that work to establish, maintain and strengthen the special ties among French-speaking people throughout the world. Lastly, the expression “La Francophonie” is increasingly used as shorthand for the Organisation internationale de la Francophonie (International Organisation of La Francophonie). Founded in 1976 on initiative of the Assemblée des parlementaires de la francophonie. Created in 1976 on initiative of the Assemblée des parlementaires de la francophonie. The status of French as the mother tongue or customary language of peoples and communities throughout the world is attributable entirely to their countries’ having been colonized at some time by France or Belgium. France engaged in two distinct phases of colonial expansion, the first in the 17th century and the second in the 19th. In the first phase, France established French-speaking settlements in the Americas (then known as the West Indies) and a French-speaking trading colony at Pondicherry (the “East Indies”). In the Americas, the French colonizers penetrated the vast territories of the hemisphere’s Indigenous peoples by water routes, gradually establishing forts, trading posts and settlements along them: the Atlantic coast of Guyana (Cayenne), the Caribbean Sea (Guadeloupe, Martinique, Dominica, Jamaica, Haiti), the Gulf of Mexico (New Orleans), the Mississippi River (Baton Rouge), the Missouri River (St. Louis), the Great Lakes, and particularly the shores of lakes Huron, Erie and Ontario (Detroit, Sault Ste. Marie, Fort Rouillé), the St. Lawrence River (Montréal, Trois-Rivières, Québec City, Tadoussac) and its broad estuary, Acadia (Louisbourg on Cape Breton Island), the coast of Newfoundland (Saint-Pierre and Miquelon, St John’s, Newfoundland) and the future states of Maine and Vermont. Thus the French colonial basin of the Americas — vast, poorly defended, ruggedly majestic and sparsely populated — stretched from Guyana and the Antilles to the entire Louisiana Territory (all of today’s Arkansas, Iowa, Missouri, Kansas, Oklahoma, and Nebraska, and parts of today’s Minnesota, Louisiana, New Mexico, North Dakota, South Dakota, Texas, Wyoming, Montana, Colorado, Alberta and Saskatchewan) and on into New France itself (composed of the Pays d’en Haut and the St. Lawrence Valley). In all, five European countries left permanent demographic traces in the Americas. In three of these cases, the population of the former colonies now surpasses that of the colonizing powers: there are now far more speakers of Spanish, Portuguese and English in the Western Hemisphere than in Spain, Portugal and the United Kingdom. But in the two other cases — the Netherlands and France — this is not so: there are still far more speakers of Dutch and French in these countries than in their former American colonies. In the second half of the 18th century, for demographic, social, historical, and geopolitical reasons, almost all of the French colonial empire in the Americas passed into the control of Great Britain. (After the American Revolution of 1775-1783, the former French territories were divided between the United States and the colonies of British North America.) The following four dates mark the major milestones in the history of this first phase of French settlement in the Americas: 1608, when the French founded Québec City; 1670, when the British took possession of Jamaica, which subsequently became a refuge for French Huguenots; 1760, when the French surrendered Montréal to the British; and 1803, which marked the final land battle of the Haitian Revolution and the sale of the Louisiana Territory to the United States by Napoleon Bonaparte. This period of French-speaking colonization of Africa lasted about 120 years, from 1840 to 1960. Its demographic impact on the continent (through immigration of French and Belgian colonists) was far smaller than its linguistic impact (the establishment of French as a second language), although in many African countries, this latter impact is fairly hard to measure. Two African countries where French can safely be said to have had a major influence are Algeria and the Democratic Republic of the Congo. Following the end of the Second World War in 1945, powerful independence movements in French-speaking former colonies triggered their transition to the postcolonial phase, often after violent confrontations such as the Algerian War and the Indochina Wars. This transition was accompanied by a sometimes difficult and painful redefinition of the newly independent countries’ political relationships with their former colonial overlords. Very generously, the number of people who speak French in the world today can be estimated at 240 million. Of this total, about 65 million live in France and 13 million in the Western Hemisphere, in particular Canada (see French Language in Canada) and the United States (see Franco-Americans). Algeria is home to some 11 million French speakers and the Democratic Republic of the Congo to some 33 million. The vast majority of French speakers outside of France speak two or more languages, and for the vast majority of French speakers in Africa, French is not their first language or mother tongue. Where and when did the term francophonie first appear? 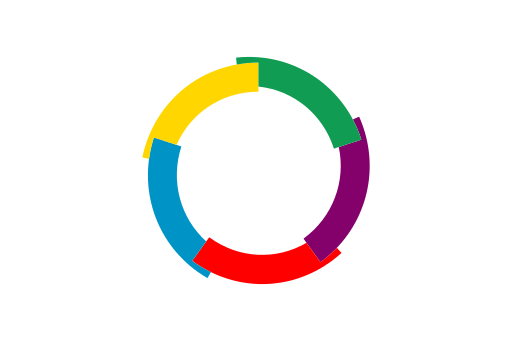 Some sources say that the term francophonie was first used around 1880 by French geographer Onésime Reclus, to refer to all French-speaking people and countries. But this date should be regarded cautiously, because it may well overstate how long the term has actually been used in the French-speaking world. Tellingly, although the word francophone was included in most significant French dictionaries published during the 1950s and 1960s, such as Le Grand Robert (1957), the Grand Larousse encyclopédique (1962) and the Dictionnaire Quillet (1960), the word francophonie was not. This latter word did, however, appear in the 1970 supplement to the Grand Robert and the 1972 edition of the Petit Larousse. When it comes to dating the term francophonie, the dictionaries’ explanations vary from one edition to the next. In the 1970s, the dictionaries agreed that this term originated in the 1960s. The Grand Larousse de la langue française (1973) cited its occurrence in 1962 in a special issue of the magazine Esprit (which included an article by Léopold Senghor titled “Le Français dans le monde”), while Le Petit Robert (1977) gave the year as 1964 — the same year that the Assemblée parlementaire de la Francophonie was founded. By 1985, however, Le Grand Robert was crediting Reclus with having coined the term in 1880, but adding that it entered common usage only around 1960. On the basis of these authoritative dictionaries, it is reasonable to conclude that the use of the word francophonie effectively dates back only to the second half of the 20th century. With the exception of the international organizations established and overseen by France in the colonial and post-colonial periods (for example the Alliance Française, founded in 1883), Francophonie as a set of international institutions is still relatively young. The first truly multilateral institutions dedicated to building ties among groups of French speakers were founded in the wake of the Second World War; examples include the Fédération internationale de la presse de langue française (Paris, 1948), the Association des universités partiellement ou entièrement de langue française (Montréal, 1961) and the Institut international de droit d’expression française (1964), in the fields of journalism, academia, and law, respectively. These were all non-government organizations, though they often received government funding. International francophone non-government organizations continued to proliferate in the post-war period. By 1990, there were some 50 francophone federations, communities, academies, associations and institutes working to strengthen co-operative ties in a wide variety of areas, and they continue to do so. In 1967, members of about 20 national parliaments met in Luxembourg to found the Association internationale des parlementaires de langue française (International Association of French-speaking Parliamentarians). Two years later, an international conference was held in Zaire (now the Democratic Republic of the Congo) with 20 ministers of education representing their respective governments. In 1970, ministerial delegates from 21 countries met in Niamey, Niger, to found the first permanent francophone international organization, the Agence de coopération culturelle et technique (ACCT), an important agency for multilateral cultural and technical cooperation among governments and the immediate forerunner of the Organisation internationale de la Francophonie. The member states of the ACCT shared the French language and common objectives, in particular the development of culture, education, science and technology. The agency held its first meeting in Versailles (this summit is also called the Paris Summit) in 1986. Delegations from the following member and non-member states met again in 1987, in Québec City: Belgium, Benin, Burkina Faso, Burundi, Canada, Central African Republic, Chad, Comoros, Congo, Côte d’Ivoire, Djibouti, Dominica, Egypt, France, Gabon, Guinea, Guinea-Bissau, Haiti, Laos, Lebanon, Luxembourg, Madagascar, Mali, Mauritania, Mauritius, Monaco, Morocco, Niger, Rwanda, Saint Lucia, Senegal, Seychelles, Switzerland, Togo, Tunisia, Vietnam and Zaire. Two Canadian provinces — Québec and New Brunswick — had the status of member governments at this meeting. The ACCT held its next summit in Dakar, Senegal in 1989. At the time, parallels were drawn between the member states of the ACCT and those of the Commonwealth, and the two groups of countries did have several similarities. Both included developing countries and industrialized countries, both were composed largely of former colonies that had become independent after the Second World War, and both had set the same overall objectives of mutual assistance, cooperation and development in all areas. But their structures were very different. For example, prior to 1991, the French-speaking countries did not really have the equivalent of the biannual summit meetings that the Commonwealth heads of state began holding in 1971. The Haut Conseil de la Francophonie, another immediate predecessor of the Organisation internationale de la Francophonie, was founded in 1984, with François Mitterrand as its chair and Léopold Sédar Senghor as its vice-chair. The mandate of this high council of French-speaking countries was to examine the status of the French language around the world and to propose specific steps that the international French-speaking community should take in this regard. Following the first summits of French-speaking countries in Paris (1986), Québec City (1987) and Dakar (1989), the ACCT, the Haut Conseil and the Assemblée parlementaire de la Francophonie (APF) were combined into a single federated agency, the Organisation internationale de la Francophonie (OIF), now known in English as the International Organisation of La Francophonie (IOF). The fourth summit, which finalized this merger of the various agencies of La Francophonie, was held in Paris in 1991. The principle of holding a summit every two years was then officially established. The subsequent summits were held in Grand-Baie, Mauritius in 1993; Cotonou, Benin in 1995; Hanoi, Vietnam in 1997; Moncton, Canada in 1999; Beirut, Lebanon in 2002; Ouagadougou, Burkina Faso in 2004; Bucharest, Romania in 2006; Québec City, Canada in 2008; Montreux, Switzerland in 2010; Kinshasa, Democratic Republic of the Congo in 2012; Dakar, Senegal in 2014; and Antananarivo, Madagascar in 2016. The Francophonie Summits are now major international events. Each of them gives the country or other geographic entity that hosts it the chance to promote and focus on the general vision and directions that it wishes to impart to what has now become a major international body. The institutional structure of the IOF is operationalized through the Secrétariat général de la Francophonie, which coordinates the activities of several subordinate entities (commonly referred to as the opérateurs). The Agence intergouvernementale de la Francophonie (AIF) manages a number of intergovernmental cooperation programs in the fields of culture and education. Its activities are decided upon at the Conférence ministérielle de la Francophonie. The Agence universitaire de la Francophonie(AUF), founded in 1961, coordinates activities of institutions of higher learning and research in the French-speaking world. Senghor University, in Alexandria, Egypt, was established by the Francophonie Summit held in Dakar, Senegal in 1989; this university provides targeted instruction in the French language, and its public usefulness has been recognized internationally. The Association internationale des maires francophones comprises the mayors of 156 capitals and other major cities in 46 French-speaking countries and deals with problems of municipal management and urban development in the French-speaking world. Lastly, TV5 and France 24 are the only French-language television networks that are available almost everywhere in the world. Some other organizations are officially agencies of the IOF but operate autonomously. The Conseil permanent de la Francophonie (also known as the Conférence ministérielle de la Francophonie, because it is composed of the member states’ ministers for La Francophonie) is the most overtly political body of the IOF. It issues a number of guidelines regarding coordinated action by francophone countries in the international sphere and includes an economic branch (the Direction de la Francophonie économique). There are also a Conference of Ministers of Education of French-Speaking Countries (CONFEMEN) and a Conference of Ministers of Youth and Sport of French-Speaking Countries (CONFEJES), which issue guidelines in their respective areas of expertise. The Assemblée parlementaire de la Francophonie (APF) is an association of representatives of national parliaments of French-speaking countries. It works to promote the French language and the expression of cultural diversity. It is also a forum for debates, proposals and exchanges of information on all subjects of common interest to its members. The APF also carries out interparliamentary cooperation initiatives with French-speaking parliaments. Lastly, the IOF also has a number of partner institutions, such as the International Council of French-speaking Radio and Television Networks (CIRTEF) and the International Committee for the Francophone Games (CIJF) that expressly organize their activities to advance the fundamental objectives of the IOF. Canada has played an active role in organized international francophone institutions since their earliest beginnings, in both the public and the private sectors. The fundamental orientations of the three Francophonie Summits that have been held in Canada to date provide a clear picture of the nature of Canada’s contributions to this organization. The Québec City Summit of 1987 focused largely on the general principles that would guide its work in the coming years. This summit produced durable definitions of the organization’s priorities: culture, communications, language, technological development, science, energy and agriculture. At this time, Canada provided $17 million of funding for a number of development projects in French-speaking Africa and forgave $325 million in African debt to Canada. Two organizations were founded at this summit: the Forum francophone des Affaires (a non-government organization for French-speaking businessmen and businesswomen) and the Institut de la Francophonie pour le développement durable (IFDD, La Francophonie’s institute for sustainable development). The head office for the latter organization was established in Québec City. The Moncton Summit provided a forum for discussions on new technologies and on the economy, but its main subject was young people and their impact on the world in general, as well as on La Francophonie and its future. At this summit, the heads of state and government also began to establish more clearly defined organizational structures for the activities of the Francophonie summits. Three major sectorial conferences were planned to guide future work, each to be held in a different city of the French-speaking world. The first, the Women of La Francophonie conference, was held in Luxembourg City in February 2000, and its theme was “Women, Power and Development.” The second was the International Symposium on the Assessment of the Practices of Democracy, Rights and Freedoms in the Francophone Community; it was held in Bamako, Mali in November 2000 and ended with the issuing of the Bamako Declaration, which affirmed the principles of democracy and the rule of law in the member countries of La Francophonie. The third conference was a ministerial conference on culture and was held in June 2001 in Cotonou, Benin. It led to the Cotonou Declaration and Action Plan on Cultural Diversity, which in a sense laid the groundwork for the 2005 ratification of UNESCO’s international Convention on the Protection and Promotion of the Diversity of Cultural Expressions. The summit held in Québec City in 2008 can be regarded as the IOF’s first real crisis summit. That year, numerous armed conflicts were raging in various parts of the French-speaking world. There was also a major food crisis, while financial markets suffered a serious collapse. The heads of state and government at the Québec City Summit officially recognized the need for a meeting to co-ordinate an international response to the financial crisis, as well as for the reform of the international economic system. In addition, four major issues (the environment, the French language, democracy and the rule of law, and economic governance) were officially addressed at four separate sectorial roundtables (rather than in plenary session, as had been the practice at previous summits). The resulting Declaration of Québec City is an ambitious document that puts forward concrete proposals on these four major issues. The prevailing crisis placed the focus chiefly on the last two themes. Regarding the connection between democracy and the rule of law, La Francophonie committed to working to achieve social stabilization in certain African countries and to strengthen peacekeeping efforts, while also identifying protection of journalists as a priority. Regarding economic governance, while recognizing that some major accounting issues had contributed to the financial crisis, La Francophonie also stressed the close connection between the financial crisis and the food crisis, because economic constraints frequently result in food shortages, especially in Africa. The member countries therefore committed to keep this crucial aspect of economic governance in mind. This summit was co-hosted by Canada and Québec, with New Brunswick participating as a partner. It was chaired by the prime minister of Canada, Stephen Harper. Canada is indisputably a crucial political and financial partner in the IOF and participates actively in all of its decision-making bodies. The Parliament of Canada and the legislatures of eight of Canada’s 10 provinces have official status in the Assemblée parlementaire de la Francophonie (Canada, Ontario, Québec, New Brunswick and Nova Scotia are full members, while British Columbia, Alberta, Saskatchewan and Prince Edward Island are associate members). Canada and two provinces, Québec and New Brunswick, have been full members of the OIF since the 1970s, while Ontario became an observer in 2016. 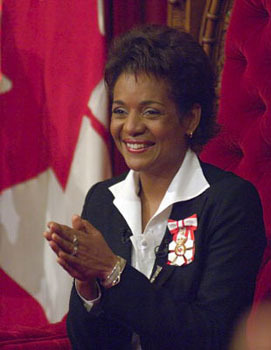 Also noteworthy is that on 30 November 2014, at the 15th Francophonie Summit, in Dakar, Senegal, Michaëlle Jean, a former Governor General of Canada, was named Secretary General of La Francophonie. She is not only the first woman to lead La Francophonie, but also the first Canadian. The concept of “economic Francophonie” began to develop in 2014. Its starting point was a set of socio-economic observations that placed La Francophonie at the heart of serious problems of poverty and underdevelopment. The fact is that 23 member countries of La Francophonie, most of them in Africa, are among the 48 least economically advanced countries in the world. A huge amount of work remains to be done, and the need for wide-ranging international cooperation to achieve economic, social and environmental progress is unquestionable, both in French-speaking countries and everywhere else in the world. In preparation for the Dakar Summit of November 2014, the IOF conducted an assessment of its activities in the economic sphere. Also, although the actors in the public and private sectors in the French-speaking world were already working to alleviate poverty and generate economic growth, it would be imperative to make all the economic activities of these bodies more precisely discernible. Also at the Dakar Summit, the Direction de la Francophonie économique (economics branch of La Francophonie) stressed, in its Economic Strategy for La Francophonie, the importance of reconciling and co-ordinating the efforts of its subordinate units dealing with economic growth, the fight against poverty and inequality, environmental protection, and preservation of cultural heritage. This strategy also called for greater involvement of local development actors, civil society, the private sector and the diaspora. There is clearly a direct correlation between the economic activities of La Francophonie and economic progress in Africa, and this correlation is highly likely to grow even stronger over the years. These activities are of two complementary types: the dynamic implementation of new strategies for promoting local and international co-operation to kick-start growth in the countries of La Francophonie, and the compilation of explicit, detailed information on actual economic developments in these countries. Kim Richard Nossal, Stéphane Roussel and Stéphane Paquin, The Politics of Canadian Foreign Policy, 4th edition (2015). Leigh Oakes and Jane Warren (preface by Gérard Bouchard), Language, Citizenship and Identity in Québec (2007).